The Mercer’s Institute for Research on Ageing represents the research function of the Medicine for the Elderly Department in St. James’s Hospital. This project involved the construction of a 7 storey centre of excellence for successful ageing. The building includes research facilities, consultation spaces, meeting spaces, catering facilities, day areas, roof terrace spaces, a courtyard and naturally lit foyer, conference rooms and 76 en suite bedrooms with further ward spaces to accommodate a total of 120 beds. Due to our expertise in the Healthcare and ancillary sectors, EMP delivered on its commitment of a high quality and on schedule project to allow for the seamless transition between design and installation. See images from the project. 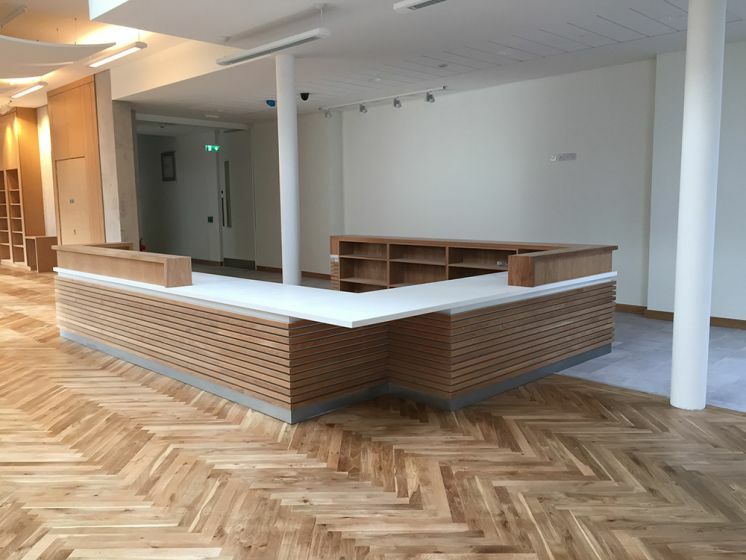 The new Arklow library offers a wide range of facilities, apart from books, such as audio visual materials, free internet and wifi access, research and study space, relaxation space and facilities for special events and meetings. This has replaced the old Library which initially opened its doors in 1979. It is envisaged that when the Library is fully operational and the transition has completely taken place from the old library, it will have the capacity to accommodate 7,000 registered members. EMP are proud to have been involved in such an unique project which will benefit the surrounding community into the future. 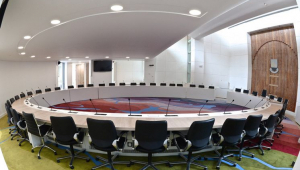 The overall building project involved the construction of single storey extension to the existing council chamber. The extension is located within the courtyard at the rear of existing council chamber. 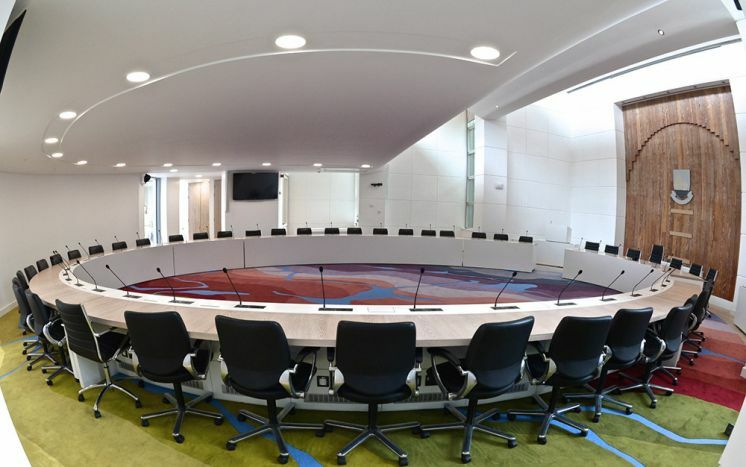 EMP was contracted to manufacture the Councillors desk. 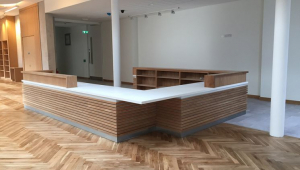 We are at essence a bespoke furniture company, therefore, as the desk possessed multiple materials including Solid Surfacing we strongly believed that it was important to be involved in this project. The desk was formed from a manufactured structure by EMP and Solid Surfacing fabricated by EMP Furniture's sister company, Empire Solid Surfacing. Working alongside the Architect, Contractor and Client, we designed, manufactured and installed the desk. We are pleased to have exceeded the expectations of those involved in this high profile project. The fitted furniture aspect of the new Emergency and Renal Department was completed recently by EMP. The new Emergency Department features the most advanced diagnostic equipment of any such facility in Ireland or the UK, including a €1 million CT scanner allowing for earlier diagnosis and treatment of stroke, trauma patients etc. The Renal department includes 24 Renal treatment spaces including a high dependency suite of facilities including 2 full clinical isolation rooms, 2 single rooms for segregation and a four space treatment bay. The Renal Unit also includes a Continuous Ambulatory Care for Peritoneal Dialysis unit comprising 5 treatment rooms and support facilities. Dr Cormac Mehigan, Consultant in Emergency Medicine, UL Hospitals Group added: “As soon as they walk in the door, patients will see a huge difference between the facility we have now compared to what they have been used to. You don’t have to be a clinician to realise our ability to deal with any sort of situation is significantly enhanced. 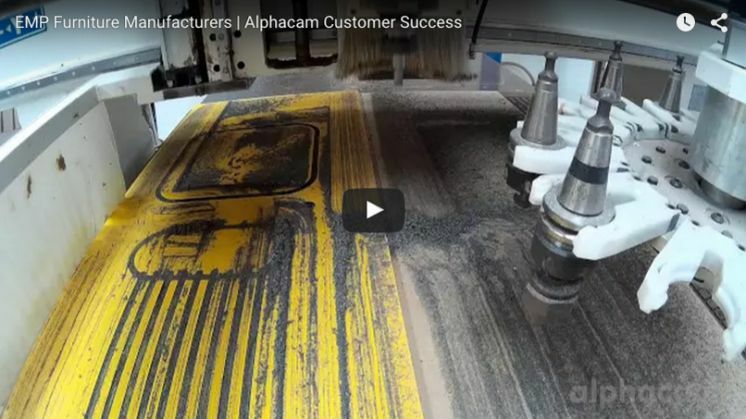 EMP Furniture Manufacturers LTD were recently selected to participate in a production outlining our use of Alphacam for our production and CNC needs on a Comac 4-axis machine. “Alphacam is a crucial part of our business not only is it allowing us to save materials giving cost savings, we are also under taking projects which we would otherwise be unable to do"
EMP Furniture - proudly serving the commercial and residential fitted furniture industry for 35 years. 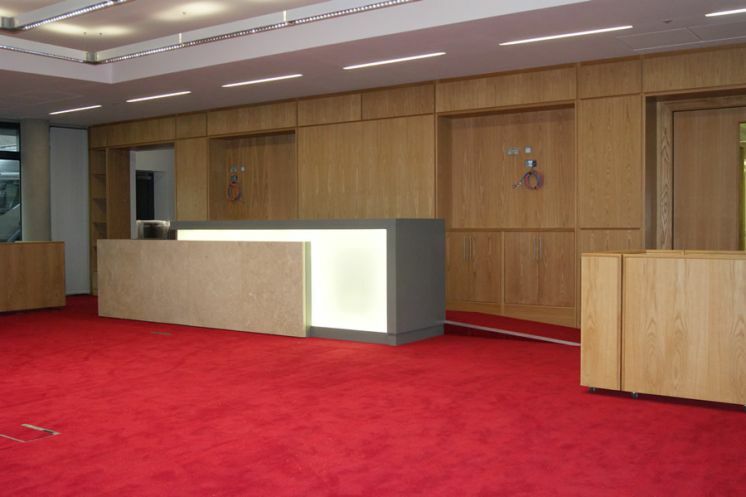 UCD was another exciting project for EMP Furniture as the work was both varied and complex ranging from bespoke reception desks to built in display cabinets. During the course of the project many additions to the contract were made as the development progressed. EMP Furniture worked closely with both the main contractor and the client to achieve a design that will stand the test of time due to its durability and aesthetics. EMP Furniture manufactured and installed gym lockers, vanity units, changing benches and kitchenettes for Ben Dunne's Manchester based gym. 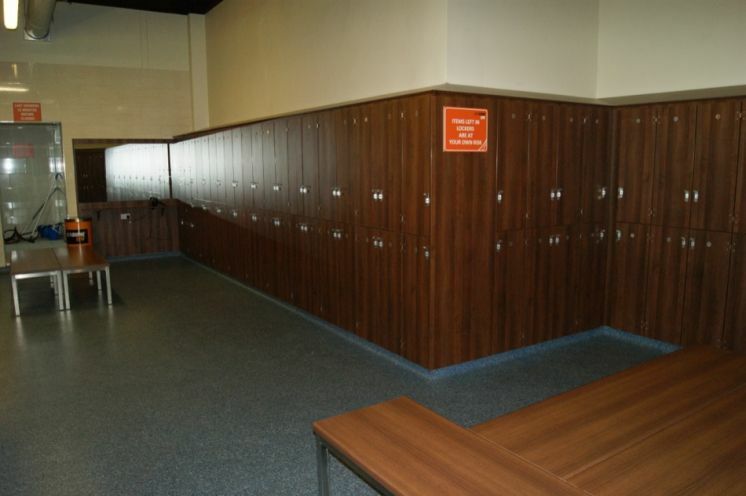 This project encompassed male and female locker rooms, bespoke units, a kitchen, locker privacy panelling, wallet lockers and a reception desk. 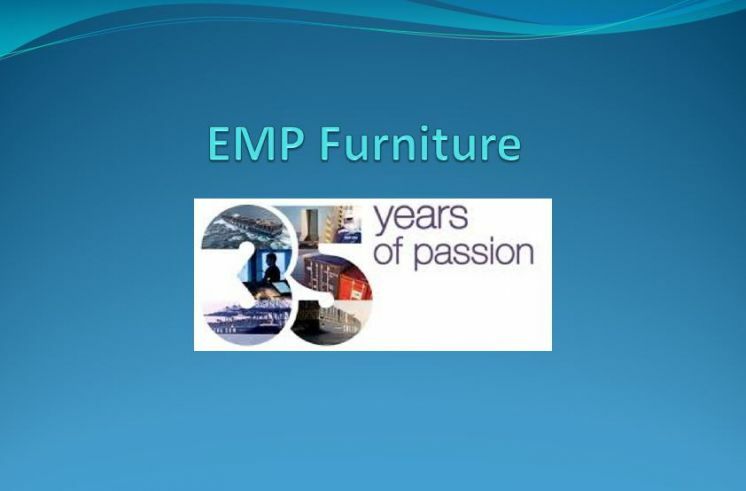 Although the project was not based in Ireland, careful planning, design, computerised drafting and manufacture ensured that EMP Furniture finished a high quality project ahead of schedule. 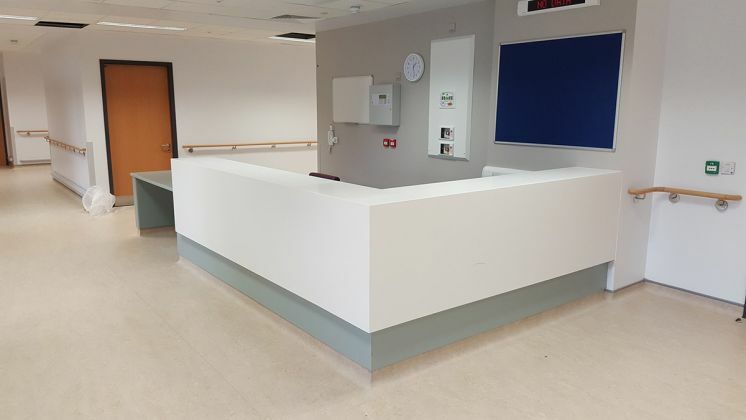 EMP Furniture manufactured many items in the Mid Western Regional Hospital Nenagh Operating Theatre Development. 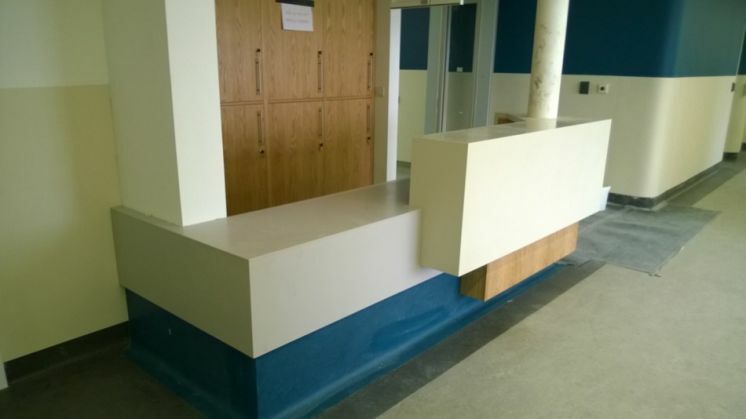 These included Solid Surfacing units - a material which both ensures longevity of the completed project while also providing surfaces which enable easy wipe down to aid sterilisation control. Clean utility rooms, Solid Surface nurses stations, reception desks and seating all presented a bespoke project - however, close interaction with the client allowed EMP Furniture to place its own stamp on the overall fitout as it brought years of both craftsmanship and medical fitout experience to the project. EMP Furniture was awarded the fitted furniture contract for a major extension to the Institute of Technology Sligo which commenced in 2013. A complete design, manufacture and installation service was supplied to the client. 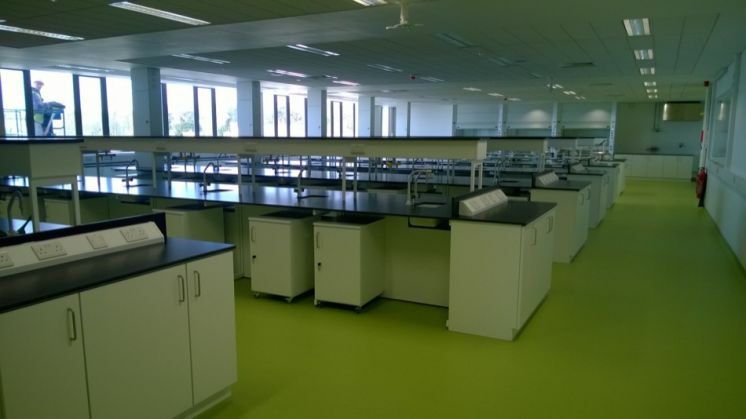 This large project encompassed 19 rooms including various science laboratories, visitor rooms, forensic analysis and management suites.